In this podcast, Ken Pyburn calls in by Skype from Portland Oregon to discuss the advisable next steps for forming a “village” organization on Bainbridge to provide services to members to help them age gracefully in place. This podcast conversation is in light of a very successful and well-attended public meeting at the Waterfront Community Center for four hours on Saturday February 28, where about 60 people brainstormed and considered forming such a village. He notes that it would be the first village to form for an island community. Ken Pyburn, an expert in village organizations around the country, which now number over 140. In this podcast, he is interviewed via skype from his home in Portland Oregon. A “village” isn’t a physical neighborhood — it’s a membership organization that provides needed and desired services, often at a group discount, or through the generosity of volunteers. Villages provide the services that its members have outgrown their willingness to do or their ability to do as they’ve aged. Ken has recently retired from chairing the board of directors of Villages Northwest, which is a collection of eight senior villages growing in the Portland Oregon vicinity. He comments on his favorable impressions of Bainbridge as a place that struck him as very auspicious for creating a village. 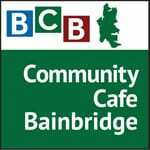 He said the Bainbridge volunteer planning group is ready for the “coalescing” phase, leading to the “development” phase and finally the village “launch” phase. He says that many villages grow out of a program of an existing service organization, while many others form a nonprofit membership organization from scratch. The village proposal is the brainchild of Sue Barrington of the BI Parks and Recreation District staff. By the end of the Feb. 28th meeting at the Waterfront Park Community Center, Sue showed the group a nascent BIvillage.org website that she had created in anticipation of a successful meeting. Additional resources are available from the national Village to Village Network. For more information about the meeting on senior villages, have a listen to Sue’s remarks on What’s Up podcast 116 from February 19th, or Ken Pyburn’s earlier interview in the February 25th podcast. Census data suggests that more than one Bainbridge resident in five is over age 60.